Elena Kosheleva is a Russian qualified lawyer and has more than 10 years’ experience in corporate services, insolvency and restructurings, real estate, civil law and arbitration practice in reputable law firms in Russia. Elena has appeared before the courts of Russia with regards to civil law, corporate law, bankruptcy, insurance and arbitration matters. She has also appeared before The Federal Antimonopoly Service of Russia (FAS) representing her clients on various matters and has extensive experience in transactions having Russian and CIS country element as well as in international transactions. 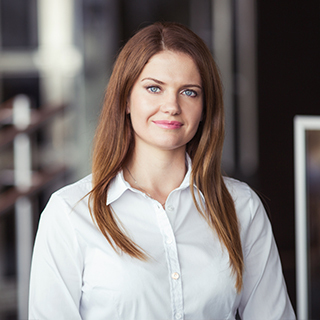 Prior to joining our firm, Elena has been a partner in a reputable law firm in Perm, Russia for 6 years. In cooperation with our associates abroad, Elena has extensive experience and knowledge can advise clients under the laws of Russia.